Environmental and use factors are the primary causes for sail deterioration. While extreme environments (such as acid rain) and use factors (such as rig failures) can happen, below we focus on normal use, outlining the impacts of these factors and what Ullman Sails does to minimize the effects of each. Environmental and use factors weaken the sail regardless of how well we care for it. All sails are vulnerable to the damaging rays of the sun and the corrosive power of salt water. UV exposure, which affects all sail materials to varying degrees, weakens fibers — even the thread that holds the sail and its hardware together. Saltwater exposure can result in electrolytic corrosion of sail fastenings. Corrosion, the result of contact of dissimilar metals, causes slides, clew and tack rings, and even headboards to fail over time. The sail’s exposure to salt water (or moisture in general) can also result in high humidity levels in the sail materials, which can be a contributing factor to mildew and mold formation. Where appropriate we ensure that the sailcloth we use has UV inhibitors and top coatings to improve UV resistance. We offer upgrades such as UV–impervious and hydrophobic GORE© Tenara thread for new sails. Our product construction isolates dissimilar materials throughout the sail, reducing corrosion potential. For laminate and FiberPath sails, our sail material incorporates antimicrobials in the adhesives that help minimize the potential for mildew to occur. We offer external treatments to help protect your sails for those seeking additional protection. Use factors encompass the inevitable stress that sails endure while in use. They include the impacts of luffing, sails hitting the rig, and the typical loads required to harness the power of the wind under sail. Flogging, fluttering, and the sails hitting the rig will damage sailcloth and sail membranes. What We Do About It: All sailcloth used by Ullman Sails has undergone a range of assessments including “flutter and impact” tests to simulate the reduction in stretch resistance, and the break strength that sailcloth experiences as a result of luffing, flogging, fluttering, and impact that occurs in normal use. Similarly “fold and flex” tests are carried out to simulate activities such as folding sails. These laboratory results are reviewed and paired with real-world testing. 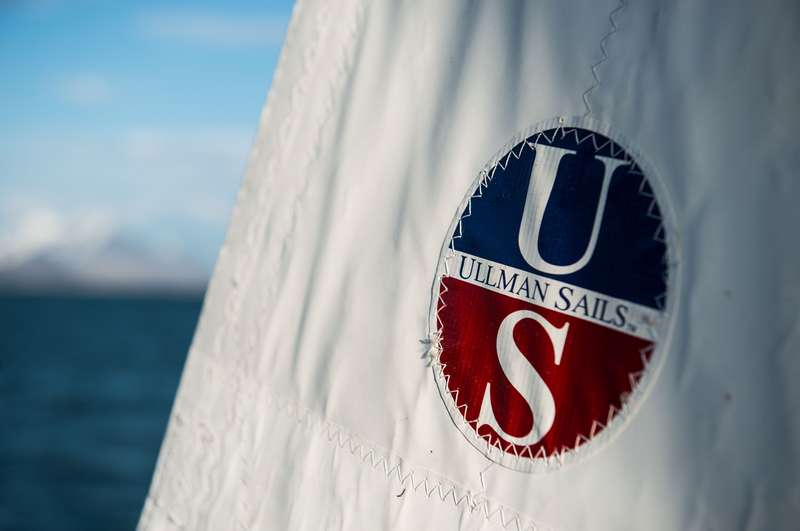 Ullman Sails only recommends a material once it is proven for its intended use.